‘It is a real honour to have been appointed President of the Choir whilst still able to assist our conductor in the learning of new pieces. One of my primary aims will be to encourage the younger members of the choir to maintain their interest, since without young people the future of male voice choirs is bleak. The Choir is pleased to welcome a new assistant musical director, Mr Stuart Whitwell. Stuart comes with a wealth of experience in music, light opera and male voice choirs. 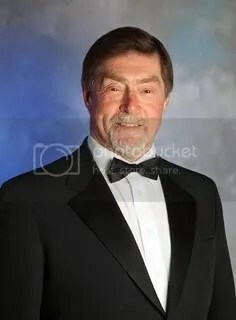 He began in the 1960’s, working with his church choir, at Ropewalk, Knottingley and until recently was musical director for the Castleford Gilbert and Sullivan Society. Stuart plays the piano and brings a keen musical appreciation and insight to our work, as well as singing in the first tenor section of the choir. Stuart is in his early seventies and is a retired Headteacher. He lives in Ferrybridge and his other interests are gardening and, of course, his family. 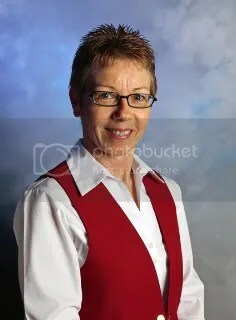 Elaine is the choir accompanist and has played for us for eight years. She is an accomplished musician, playing both the piano and viola and works as a peripatetic pianist in schools. Elaine lives in Horbury and loves baking, driving, walking and anything to do with music. Her favourite song to play is ‘Going Home’ but when listening to the choir, enjoys the Russian Hymn, ‘Tibyeh Pieom’. As a dedicated musician Elaine plays for a small group of singers, a panto society, and an operatic/musical theatre group. As she says, she just loves music. An important part of Elaine’s life is her family. She has two grown up sons, one grandson and one granddaughter, and loves to spend time with them whenever possible. Assistant Accompanist Mandy Jones joined us recently from Micklefield Choir. Mandy is playing piano for the choir on Wednesdays. W.A. Shearings Featherstone Male Voice Choir is very lucky to be served by some excellent musicians. Many of our members play a musical instrument, even if only for their own pleasure. Although most of our members could not read music before they joined the choir, they support each other with new songs and soon become proficient – although modesty forbids them to say so! My favourite concerts from 2014 were in St Edwards Church, Ypres, and Leeds Town Hall with the Russian Army Band. The highlight of the tear was touring around Lille on a coach, guided by pizza delivery man on a moped! At the end of my first year with FMVC I love everything that the choir stands for: concerts, music and charity work. I hope to be a member for a long time. 2015 appearance at Royal Albert Hall will be fourth time with 3 different choirs. Local man with a long musical history including Featherstone Muiscal and Dramatic Society, Castleford Male Voice Choir, a local hand bell ringers and Kippax Amateur Operatic Society. Hobbies include gardening and watching Fev Rovers rugby league. 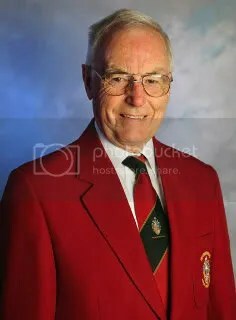 Member of Pontefract Probus Club. Favourite choir song: ‘Ti-Byem Pieom’ and I’m pleased that my family always enjoy the concerts we give. Hobbies include crown green bowls and pigeon keeping and racing. Retired professional singer and actor, and for many years worked in theatres, hotels and cruise ships. In addition to singing, my hobbies include writing books and short stories, golf and swimming. My wife and I are ‘tea shop’ addicts. Favourite choir song: ‘Speed Your Journey’. Member since 2012 but have sung in male voice choirs for over forty years. Favourite FMVC song: ‘American Trilogy’. Hobbies include, cooking, making wine and reading. Favourite choir song – ‘Fly me to the Moon’. Retired miner and training officer. Main interests: TV, gardening and a little walking. At one time my only passion was tug-of-war and I travelled the country judging competitions. I am am looking forward the concert at Wakefield Cathedral with Grimethorpe Brass Band and the Royal Albert Hall concert in November. My main hobby these days is organising group holidays but music has always been a large part of my life. I love Choral singing and music in general. Joined FMVC in 2009, and couldn’t read music before I joined. I have no favourite song from our repertoire. Music has been an important part of my life including playing the cornet in the Salvation Army Band, being a member of gospel and amateur dramatics groups. Joined FMVC from Castleford Choir and has enjoyed the concerts at Royal Albert Hall and in Ypres in particular. Favourite song from the repertoire is The Lost Chord. Garnett also sings with the Selebian Singers. I enjoy singing and could read music before I joined the choir, although I don’t play a musical instrument. Favourite FMVC songs: ‘Bring him Home’ and ‘What would I do without my Music’. Hobbies include caravanning, golf, fishing and walking. I worked in heavy engineering and now enjoy reading, gardening and sightseeing. My favourite FMVC song: ‘The Lost Chord’. Other interests: walking and reading. For thirty-eight years I owned a caravan. Favourite FMVC song: ‘An American Trilogy’. Retired Heavy Goods Vehicle driver for M&S. Retired accountant who likes golf, cooking and holidays. Hobbies: walking, camping, ornithology, making bird tables and boxes, and singing in my church choir. Enjoys gardening, walking, church, and supporting people with mental health issues to find happiness in their life. Gwahoddiad is Robert’s favourite song from the current repertoire. Hobbies: Walking, producing pantomimes, family. Hobbies: listening to radio, attempting crosswords, singing in church choir. Joined the choir after hearing them sing at a Christmas Concert with pupils from his daughter’s school. Hadn’t sung since his school days at Helford High in Cheshire, when he was a boy soprano – now he’s a bass!